ATTENTION WITCHES AND SPELL CASTERS! I recently received the following message in my inbox by tumblrite. Please read. THIS IS A PLEA FOR HELP. FOR A COUNTRY. If we can stop Romney there’s no reason we can’t help Brazil. My country needs some help. The mobilization against Romney in this community was just awesome and of course effective. Even people who were not from the US participated, me included. Now I’d like to see if you guys can help Brazil. You might have seen what’s happening here already, but if not – and I wouldn’t be surprised since the media is trying to cover it up as much as possible and dismissed it for a small ‘bus fare protest’- I suggest looking at the BrazilWonders and SaladUprising tumblrs as they have some news in English. We’re a 3rd world country with terrible social problems, one of the worst educations and public healths in the planet, and the government tells us to be proud to be hosting the World Cup and the Olympics in upcoming years. These events are costing us SEVERAL BILLION DOLLARS EACH. And of course it’s coming from those already beaten up areas, education, transportation, etc etc. Now, to make it all worse, we have a ton of politicians (including the head of the “Human Rights and Minorities Ministry”, Marco Feliciano) who are religious bigots, homophobic, racist assholes (even though the majority of the population is POC and also known for being ACCEPTING AND OPEN MINDED). They had just passed a law nicknamed “The Gay Cure” that allows psychologists and psychiatrists to legally treat LGBTQA people as mentally ill and try to ‘cure’ them. Now, watch them cover up the protests that will SURELY come from this as well. All the while, the country tries so hard to give out this image of a free, wonderful paradise with happy people. Can tumblr witches help us out like they helped the US in their critical moments? The people are angry here, we’re out in the streets but being ignored and stepped on. Can you curse these poor excuses of human beings? Can you bless our people and help out on the awareness? Need some ideas? Here’s a list of them. Even those who follow the Rede and are against cursing can help. Cursing. Those who stand in the way of progress and betterment for the people. Blessing. Bless the innocent, those fighting, the victims. Bless those who need their causes to be won. Protection. Protect those who need protecting; the protesters, the children, the LGBTQA community, the victims, and everyone else who needs it. Also, spells to help those who need to flee the area are recommended. Healing. Many folks are injured while fighting for their cause. Often this is due to excessive actions from those with authority. Help speed their recovery. Prosperity and Abundance. Cast a spell to assist in ensuring food, clean water, and shelter for those displaced or seeking shelter. War spells. Follow a war deity or practice? Send aid by stopping those who would harm peaceful protest and protect those who are the victims of aggression. Truth spells. Where there’s politicians, there’s corruption. Send truth spells at aimed (or not) targets to have those lies, deceptions, and corruptions ferreted out and dragged into the light. Directing the truth spells at the media may ensure that Brazil gets the coverage it needs to stimulate change. Money spells. It takes money to have a protest and it takes money to be heard. Help them along. Listening spells. Spells designed to have another person listen to what you have to say. These spells can range from commanding and manipulating to a simple “you will hear me clearly this time.” Help their voices be heard. Glamour and illusion spells. Work with glamour do you? Dismantle the illusion of the government’s right of way. Destroy the illusion that this is a small-time, localized event. Destroy the misconceptions surrounding the protests. Take the politicians’ charisma and turn it against them. Cloak the protesters in illusion and glamour so harm will not come to them. Commanding, dominating, and manipulating. Don’t mind getting your hands dirty? Your morals are less strict than others? Command the government to listen to the people. Manipulate to help the people. And dominate the will and hearts of those that stand in the way. Justice. The people of Brazil are looking for justice. Help them along by offering your aid. Love spells. You specialize in love spells? Yes, you can help too! Encourage politicians and lawmakers to accept love of all kinds and to repeal their laws. Cast spells to gentle the hearts of aggressors and keep protests peaceful. OK! I know what kind of spells I want to do. But I don’t have them and/or I don’t have materials for them. What do I do? Ask. If you need a spell, especially for helping Brazil (or any other country in need of an assist), ask other witches. I will expedite all asks and research for those who are making such requests. Likewise, many other witches offer to look up spells upon request. Just ask around the community. If you need ingredients or tools, ask other witches to buy and/or trade what you need. Sometimes you have more lavender than necessary and someone doesn’t mind sending over a bag of calendula in exchange. Knot magic. Knot magic is easy, discreet, and powerful. Use a string and knot it as you chant your spell. If you get fancy, you can make jewelry from it to give to others and spread the word. Candle spells. Light a candle and cast your spells for Brazil. Pray. Religious or spiritual? Pray for the people of Brazil. Petition for assistance. Send non-human aid. 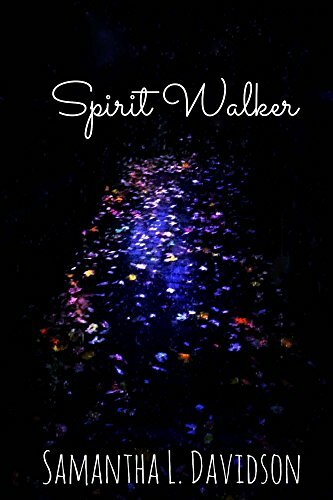 Work with ghosts, spirits, fae, and other beings? Ask them to help out. Send a message to the Folk to jinx a politician and cause mischief to help the protesters. Have a ghost haunt a government official. Challenge a spirit to assist the protesters. Not a witch or spell caster? Want to know other ways to help? Spread the news. The most important thing that can help Brazil is spreading the word over what’s happening. The more people that know about the injustices, the more likely outrage and change will occur. Talk about it often. To everyone. On every social media you can find. Online and offline. Know your facts. Read up on what’s going on. Twitter and tumblr are great for finding out what’s happening with real people. Write to politicians and government officials. Plead them to help the people of Brazil. Protest. Set up and hold a peaceful protest for Brazil. Attend other protests. Now go. Spread the word. Reblog this with further ideas to get the news spread. Help the people of Brazil.